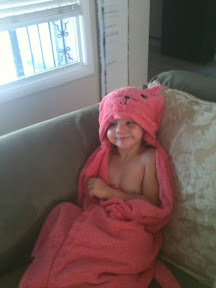 Aunt amber made Claire a cute kitty towel complete with tail. 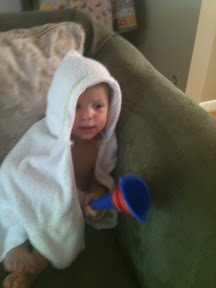 Claire's no bathing rule have been pretty lenient lately. Buddy likes his hand-me-down. If only he knew what Amber had in store for him!